Emily DiPrimio, the 14 year old director of retro-slasher “Carver”, Speaks! 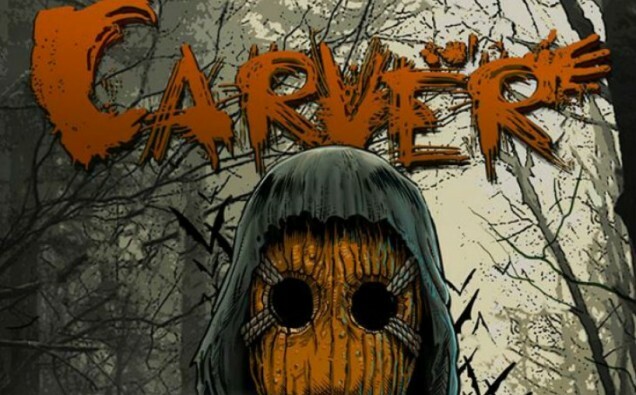 Carver is an upcoming retro-slasher film written and directed by Emily DiPrimio. Perhaps the youngest horror director this writer has ever heard of, Emily is only 14 years old. It’s the spirit of indie horror that makes this genre so amazing. Anyone, with the right amount of passion, can make an amazing horror film. It’s for this reason that I had to try to get ahold of Emily to hear a bit about her story. Due to her busy schedule, her father, Carver co-writer Ron DiPrimio, acted as a go between, but she was able to answer a series of questions about her film. John Lepper: What made you want to make a horror film? Emily DiPrimio: My dad has been making horror films for as long as I remember. My first experience was acting in my dad’s first short film when I was 5 years old. I’ve been hooked ever since. We were working on filming a web series when it was discovered that there was something wrong with my ankle and it required surgery. After surgery I was laid up for eight weeks. During that time my dad and I wrote Carver. After writing Carver I really wanted to make it. So, we came up with a strategy and launched a very successful Kickstarter campaign. JL: What films have you drawn inspiration from to make Carver? ED: I love John Carpenter’s Halloween. It is brilliant, frightening, and spawned a multitude of copycats. I drew inspiration from other films as well, including Friday the 13th Part II an IV, Scream, and My Bloody Valentine. JL: What would you say is your favorite horror film? ED: My favorite horror film of all time is Psycho because that movie truly started the slasher genre in my opinion. I loved how it was shot, Hitchcock is the master of suspense and I truly learned a lot watching his films. JL: Who is your favorite horror director? ED: Alfred Hitchcock is my favorite director regardless of genre. He was an innovator, a risk taker, and most importantly brilliant. There aren’t any wasted shots. Every shot, every movement serves the plot and drives the story forward. Hitchcock has a way of turning your worst nightmares into a stark reality. JL: What made you want to make a slasher film? ED: I’ve always enjoyed the slasher sub-genre. They are so much fun to watch. Whether you are watching to cheer on the killer or to yell at the victims foolishness leading to their ultimate demise. Slasher films are great at eliciting a reaction from the audience and that is what I wanted to accomplish. JL: What can you tell me about the story of Carver? ED: Carver is about a group of teenagers who are haunted by a despicable act they committed on Halloween when they were younger. Their actions caused the deaths of three innocent people. Now, on the anniversary of those deaths, an ominous calling card in the form of a carved pumpkin has been placed at each of their homes. Someone is out for revenge. The question is…who? JL: What can you tell me about the main characters and the villain? ED: The main characters are a close knit group of friends who are all bound by a despicable act they committed when they were younger. They have all worked hard to move on and become better people but now someone is killing them one by one. Can they figure out who is under the mask before it’s too late. JL: How has it been being a director at such a young age? ED: It’s been a great experience. I have faced a lot of skepticism because of my age and because I am a girl. But once people get on my set they see that I am all business and I am capable of getting the job done. JL: I am aware you have another project in the works. What can you tell me about Violet? ED: Violet is a super natural revenge story and it is being produced by Eli Roth for his upcoming The Crypt channel. It is a 9 episode web series and we begin filming late April. JL: Finally, is there anything else you would like to tell our readers? ED: I just want to encourage your readers to judge me and my work based on it’s merits and not on my age and gender. Where can I see this…..